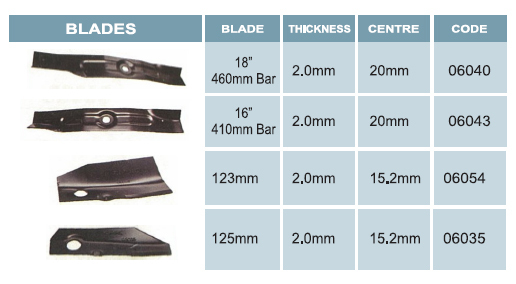 Our Lawnmower Products section consists of a massive range of lawnmower blades and accessories for just about every brand of lawnmower on the market. Have a look and see for yourself! 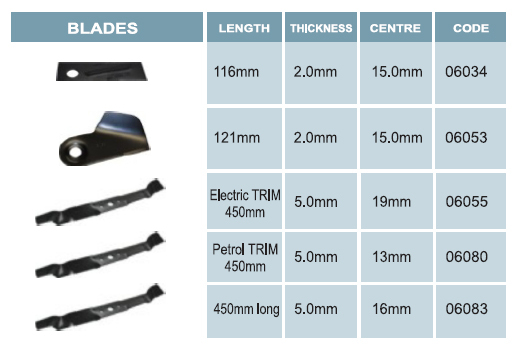 PLEASE NOTE: The using of a Trade Name (ie Flymo, Rolux etc) related to Blades or Parts in not an indication that such part are manufactured, marketed or warranted by any other Party. 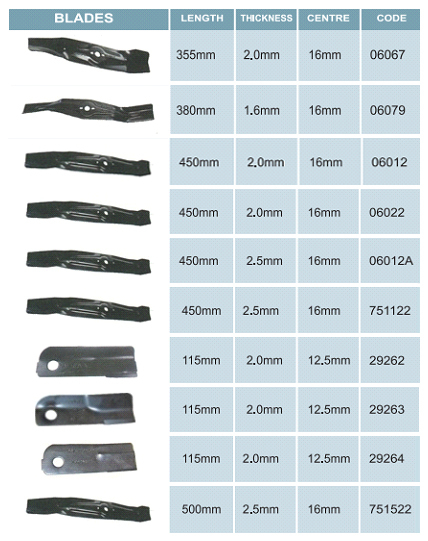 Original Equipment numbers are used for identification purposes only. 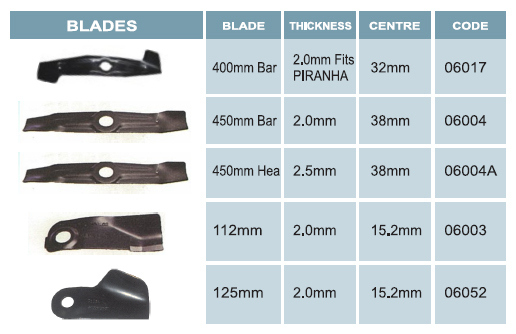 These blades are not the genuine parts of the original manufacturer, but are of high quality spring steel and heat treated. 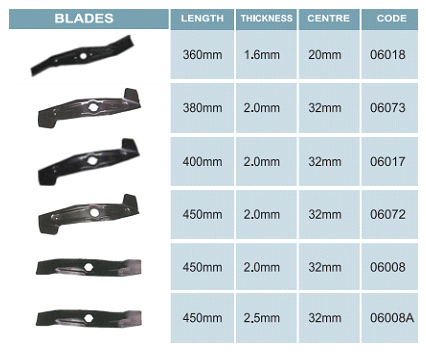 The blades are guaranteed against faulty manufacture.